The breadfruit plant goes by the scientific name ‘Artocarpus Altiris.’ It belongs to the mulberry family that originates from the Western Pacific Islands of the Malaysian Penninsula. The fruit of this plant is highly acclaimed for its nutritional value and medicinal properties. The color of the breadfruit is green on the outside while the inside of the fruit is tasty and yellowish white in color. This highly nutritious fruit can be taken daily without experiencing any adverse side effects. The plant provides many health benefits which are discussed in the following paragraphs. The remedy of Diabetes. Researchers have proved that fiber reduces the absorption of sugar from food. This property makes it beneficial for the prevention and control of diabetes. The regular intake of breadfruit is recommended for people suffering from diabetes. As an energy booster: The breadfruit is an excellent source of energy, It gives a burst of energy and increases the feeling of fullness leading to consumption of less calorie. As a result, eating breadfruit will increase the energetic feel and enhance metabolism. This fruit can also reduce the risk of heart-related diseases because studies show that its components inhibit bad cholesterol in the human body. 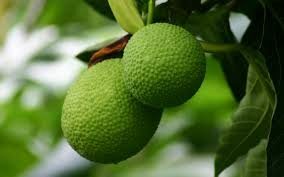 Brain Development: Breadfruit contains copious amounts of Omega-3 and Omega-5 fatty acids which are required for the growth of healthy skin and hair from the inside. 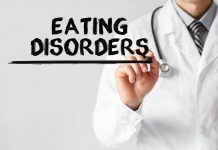 These compounds are also excellent for enhancing the health of the brain and mind. Children should take this fruit regularly to promote healthy brain development. Prevents Constipation: The high content of fiber in breadfruit is excellent for promoting bowel movements. As such it can be a powerful remedy for constipation and for colon cleansing. Many intestine detoxification remedies make use of this plant. Weight loss: The fact that the fruit has a high content of fiber and increases body metabolism makes it valuable for weight loss. 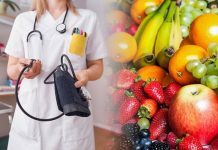 Overweight and obese people can take this fruit consistently to improve satiety, so that feel full more and consume fewer It is a practical solution for burning fat. Healthy skin and hair: Stop looking around for products to grow healthy skin and hair. With an ample amount of Vitamin C, Omega-3 and Omega-6 in breadfruit, you have everything required to produce healthy skin and hair. It is also beneficial to promote healing of wounds. Boost the immune system: This fruit has copious amounts of antioxidants which are potent compounds that promote healthy cell development. As such it gives the immune system is the natural body defense system that prevents diseases and infections. Take this fruit regularly to boost your immune system. Other excellent benefits of this plan worth mentioning are its rich source of vitamins and minerals which increases wellbeing. They help promote the overall proper functioning of the body system and vital body organs. The most significant benefits of this plant are visible in the development of healthy hair and skin. It is an effective remedy for dandruff, stimulates hair growth, prevents thinning of hair, and promotes healthy, glowing skin.